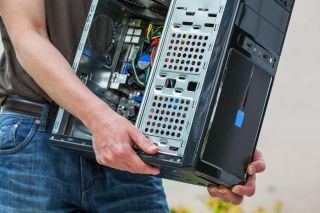 In today's digital world, waiting to upgrade your organisation's computer systems can be detrimental and costly. Technological obsolescence is a very real issue faced by businesses across the world. But what can IT managers do to combat this? Many businesses nowadays are acutely aware of the need to replace long overdue machinery and have an appreciation for the fact that old systems need to be replaced; otherwise this can have an impact on performance and ultimately the business’ competitiveness and even staff morale. However, the associated maintenance and software updates are as not widely known, nor are they typically something that business owners or directors spend time discussing. Nevertheless regular maintenance and timely updates to software are becoming more important in the battle to remain competitive in today’s business climate. This has the biggest implication for SMEs and manager who have wide scopes of responsibility and ambiguous areas of accountability. In the last decade, we have seen a definite increase in cyber security as a barrier to tech. Last year the Government announced that its Cyber Governance Health Check had revealed that two thirds of large UK businesses had been hit by cyber-attacks in the twelve-month period pre-dating the survey. This has been well-documented by the media with a rise in the number of high profile security breaches making the headlines. Reportedly in some cases the breach or attack resulted in costing the business millions of pounds, but SMEs are no less of a target. As a specialist finance provider for the IT sector we too have seen an increase in deals we have financed where security has been a key deciding factor. Whilst there is a thin line between regular updates and upgrading too fast, there is also a risk that not being proactive could result in an undesirable situation. Outdated software can act as an invitation for unscrupulous organisations and individuals, particularly where rigorous controls are lacking. Whilst it’s sometimes difficult to find a good time to upgrade or replace systems, putting it off can be a bigger risk and result in an elongated rollout period. The required support and maintenance needed during this time can be also mean paying twice, once for the old system in some form or another until the new system has been implemented. One direction we have also seen over the past few years is a move to be more agile. This might mean leasing equipment or buying a service including a combination of hardware and/or software as well as training and maintenance. For us this has meant a move away from simply financing traditional asset products and being able to offer the option of financing the whole package including any servicing, maintenance or training. Having this kind of agreement in place for after sales care is beneficial for both the vendor/reseller and for the end user in the long term. So how can you future proof your organisation to combat the speed of obsolescence? It’s therefore important to note that you need to keep your plans agile, as they will need to adapt to industry changes or to incorporate the latest releases. Business owners, directors and even CTOs will have to rely on the information provided to them by IT professionals. They cannot make the call to invest, upgrade or change something if they are not aware of the full scale of the problem and the associated risks. Talk things over with your key stakeholders and make them aware of key developments throughout the next few quarters. When to upgrade, update or replace? Focus on integrating only what your business needs. Consider what the new technology will do for you and how it will benefit your customers? It’s possible you are not the first business to have this need. So buying something bespoke might seem like a great idea to acquire just what you need right now, but it may also be a costly process to make changes once it’s finished and you find your budget used and you now have something that’s it’s no longer what you need nor right for your business. You also need to consider whether your current internal systems are compatible with the new releases and ensure that productivity and performance aren’t going to be negatively impacted. Don’t be tempted to go for low-end technology based solely on the price tag. Often the cliché of you get what you pay for rings true: if you cut corners at this stage, you may come to regret it later. Investing in quality technology and ensuring you have the right resources to make it work from the beginning can keep you from spending more in the future. Avoiding technological obsolescence requires ongoing tracking of the technology your business uses and the relevant department that helps support it. This will help identify any key issues and make you aware of potential upgrades for the future. So, rather than struggling to meet demand at the last minute, you can plan ahead and be better prepared for the challenge. You can create short and long-term plans that enable you to respond to immediate needs and anticipate future requirements. This will help you to identify imminent changes that need to be made, in addition to anticipating ones in the future. As much as you try to plan ahead, in terms of hardware technological obsolescence isn’t an avoidable issue. Ignore it for too long and, as Rojo suggests, you’ll soon be left behind. Budget constraints are one of the main reasons that businesses use out of date technology. And we hear from vendors and resellers this is often a key reason to say no. For these organisations being able to offer finance puts the power in the hands of your client and enables them to make an informed decision. This is where partnering with an IT finance provider can prove useful. Find out more about how Syscap help organisations with their IT upgrades by providing vendors and resellers flexible and tailored finance programmes. Paul Hansen, Head of Channel Sales at Syscap.